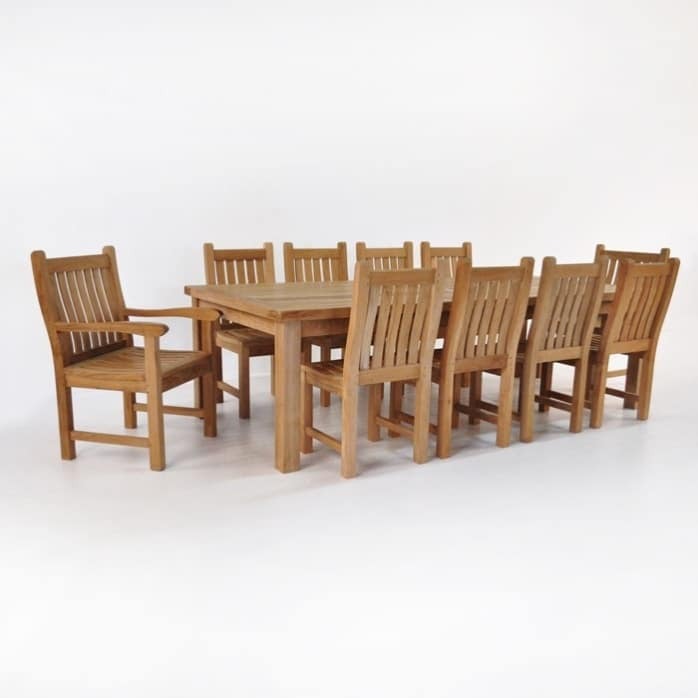 Substantial and heavy duty, the Hampton Teak Outdoor Table Set with 10 Chairs features our generous 260 x 120 Hampton Table. 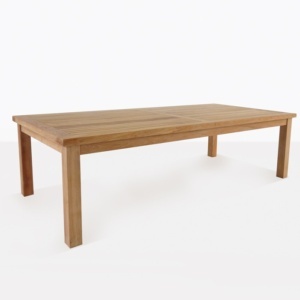 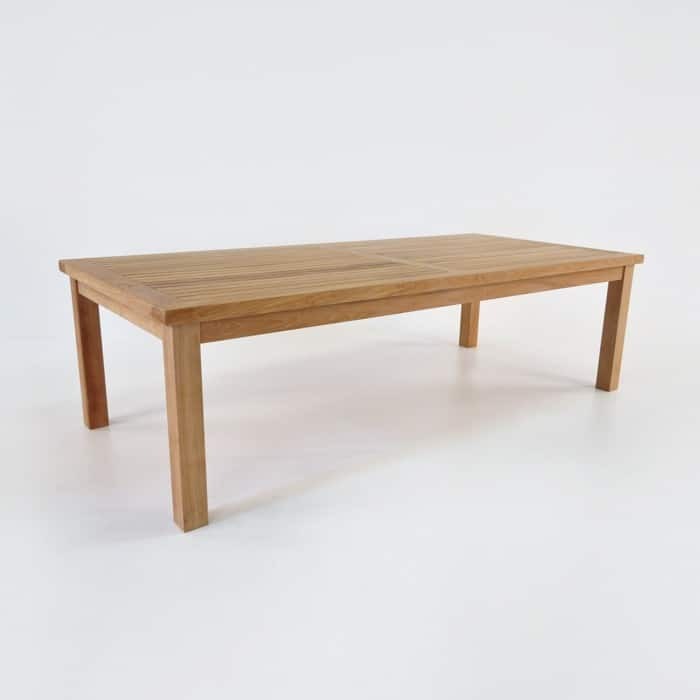 With solid planks of Grade A Teak placed tightly together for all over elegant yet sturdy look. 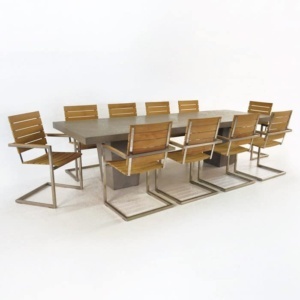 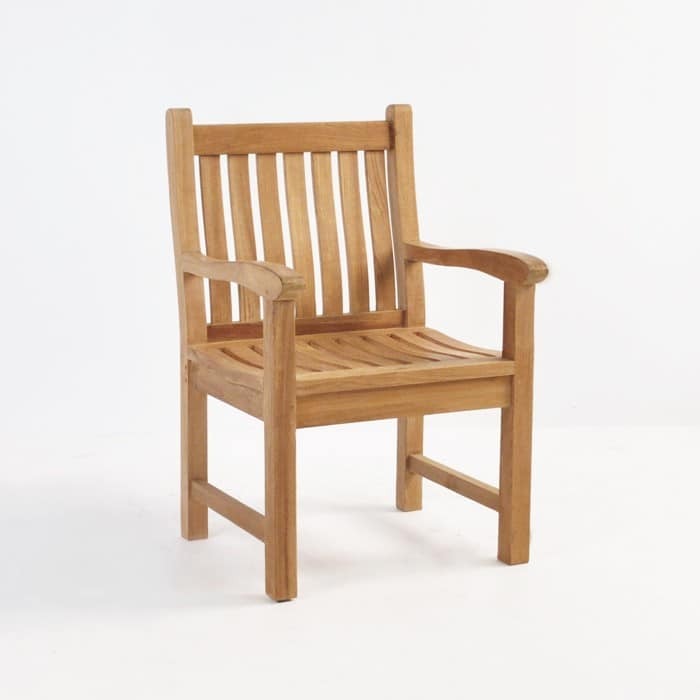 We have paired 2 Wave Arm Chairs and 8 Wave Side Chairs; meeting the challenge of the large table with thick pieces of wood forming a comfortable and weighty chair. 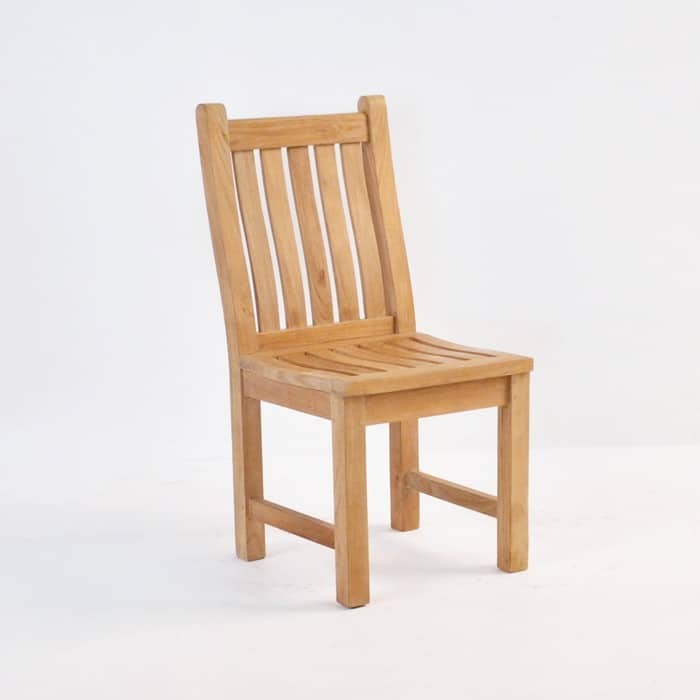 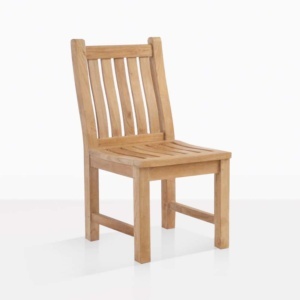 All items are sold separately, choose from our extensive range of dining chairs for a different look.